The government collected an estimated $4.7 billion in taxes from legal cannabis companies last year on nearly $13 billion in revenue. 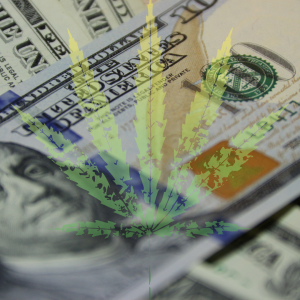 Unlike most American businesses, which pay electronically or by check, most of these marijuana-product firms were forced to pay their federal taxes in cash. Although cash payments are not explicitly required by the IRS, an estimated 70% of all legal cannabis businesses are unbanked. The US government has guidelines for banks to provide services to cannabis companies, but “99% of banks don’t want to mess with them [because] there’s a lot of internal compliance if you’re going to serve the cannabis industry,” says Jim Marty of Bridge West CPAs, a Colorado accounting firm that represents roughly 250 cannabis businesses and license holders nationwide. This means customers pay in cash, their employees are paid in cash, and their taxes are paid in cash. The Mitre Corporation, which was awarded the IRS contract, was founded in 1958 as a “private, not-for-profit company to provide engineering and technical guidance for the federal government,” its website explains. Both Mitre and the IRS declined to provide additional details regarding the cannabis contract. “I would be really interested in knowing what the company’s scope of work would be for that $1.7 million,” says Jordan Cornelius, a Denver, Colorado-based accountant who represents legal cannabis businesses. Cornelius doesn’t think Mitre will actually be counting sacks of cash coming into one of its facilities. Rather, he speculates it will be designing some sort of system to streamline the way the IRS currently handles cash payments from the cannabis industry, which is wildly inefficient. Right now, when a cannabis business pays federal taxes, someone has to schedule an appointment with the IRS to go to its local offices and make a cash deposit. A secure space is set aside to count it all, and there are two IRS employees inside the room at all times, explained Oakland cannabis accountant Luigi Zamarra. In 2018, the IRS says it received approximately 153.7 million individual income tax returns. Roughly 16.2 million of those were paper filed, and they cost the IRS around $46,494,000 to process. About 137.5 million of all US returns were e-filed, costing $48,125,000, meaning it’s about nine times more expensive to process a paper return. For this reason alone, the federal government would much rather businesses paid their taxes electronically, says Julie Hill, a law professor at the University of Alabama who is an expert on how banking regulations affect the legal marijuana industry. Nor do most legal marijuana businesses like dealing with cash, says Jim Marty. For one thing, having large amounts of cash on hand creates a serious security issue. It’s also much more expensive for marijuana businesses to maintain an account at one of the very few banks and credit unions in the country that take marijuana businesses as customers than it is for everyone else. “The stupidest thing these guys could do is keep cannabis out of banking,” says Henry Wykowski, a former federal prosecutor who now represents California cannabis dispensaries with a focus on tax cases. “If anything, they should be wanting to monitor the cannabis industry instead of forcing it to become further entrenched in the underground where it’s been, and that makes it much more difficult to regulate and control.